Bristal Assisted Living Case Study | Consolidated Technologies, Inc. : Consolidated Technologies, Inc. Challenge: Provide anywhere / everywhere network access tor new assisted living residential facility. Clinical and operational staff require secure wireless telephones and access for tablets and other devices to the data network. Residents and visitors require wireless internet access for their own devices. All access needs to be logged, and resident / guest traffic needs to be kept separate from the facility’s operations. Solution: Avaya ERS4524GT-PWR switches on each floor to provide power and high-performance network connectivity for IP telephones, wired devices, and access points. Avaya WLAN 8100 controller and access points to provide secure, high-performance connectivity. Avaya ldentity Engines to provide network access control and segregate resident traffic from official. Avaya 3641 WIFI telephones connected to an IP Office 5OC v8.1. Result: Customer premise has secure and superior wireless network coverage. Ease of use by staff and guests produces high satisfaction. Customer maintains compliance with HIPPA regulations for security and auditing. Full featured wireless phones provide seamless mobility with excellent coverage and call quality. 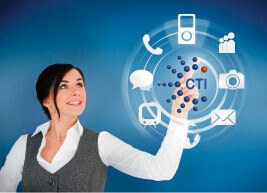 CTI has been engaged to deploy identical solutions throughout the Bristal’s facilities.